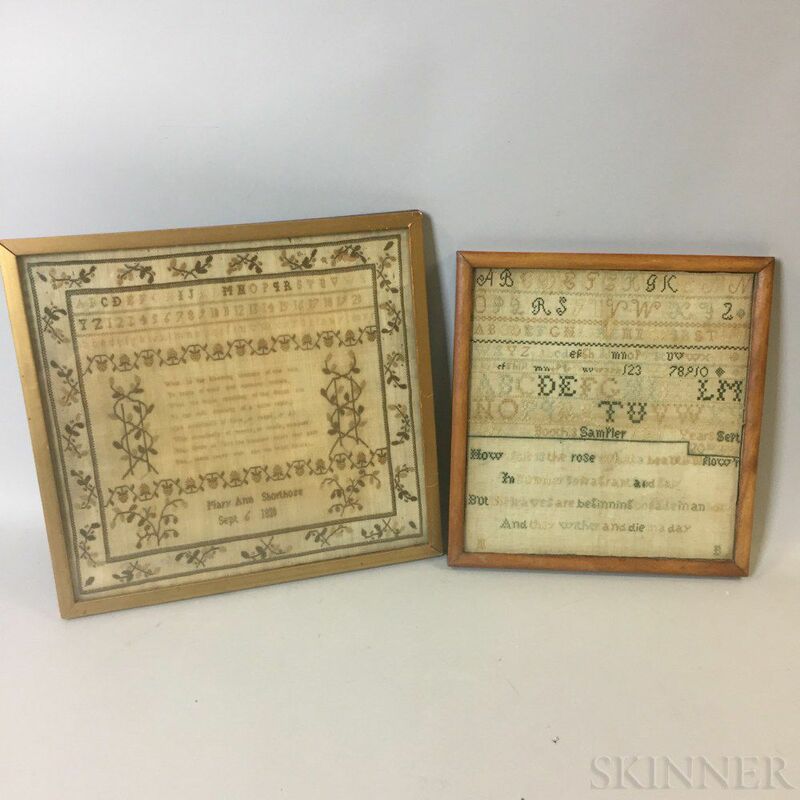 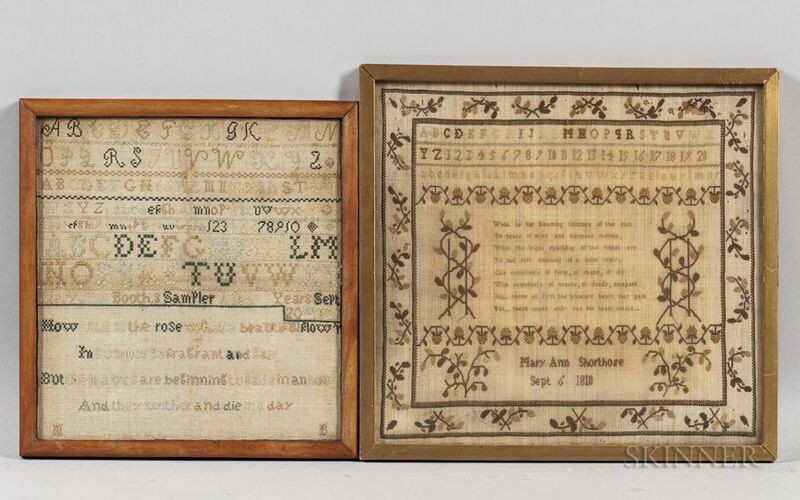 Two Small Framed Needlework Samplers, 19th century, Mary Ann Shorthose, 1810, and Mary Booth, 1824, ht. 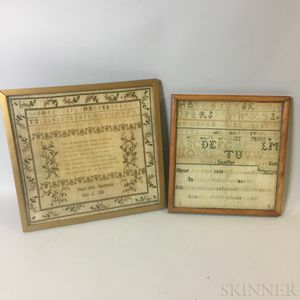 to 12 1/4, wd. to 13 1/4 in.